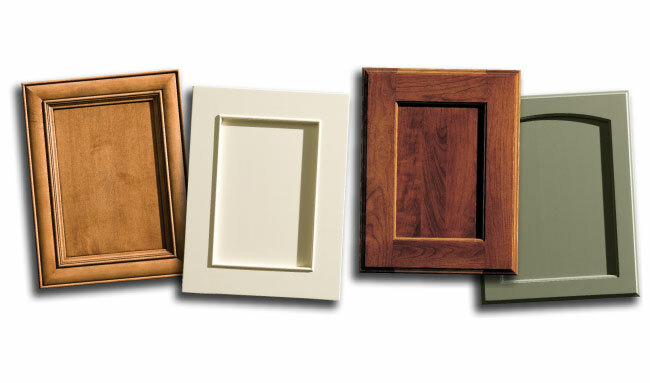 The 4 major components to a kitchen quote are: Exact measurements, Door Style & Finish, Wood Species and Customization. 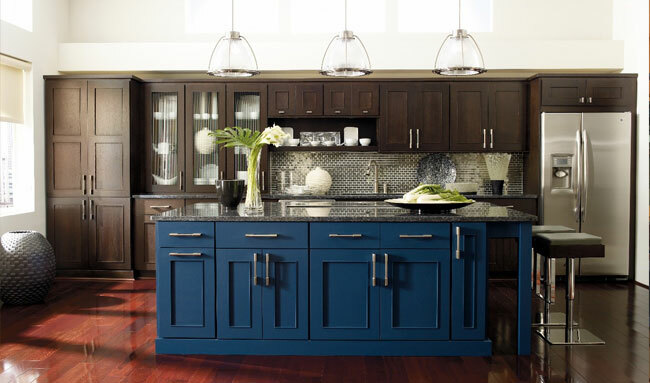 Many people walk into our showroom thinking it’s a snap to get a bid for their kitchen cabinets. Unfortunately, it’s not quite that simple. We do not quote kitchens based on linear feet because there are many factors that must be considered when calculating cost of cabinetry. Let’s break it down. The most important thing we need are the measurements of the space. The walls, windows, and all other dimensions in and around the space being built or remodeled. This will help us hone in on how many cabinets will be needed to fill the space. Another set of measurements that are important to us when designing are the appliances. Standard 36″ cooktop with separate double ovens or 48″ range? 36″ Refrigerator or 42″ Subzero? 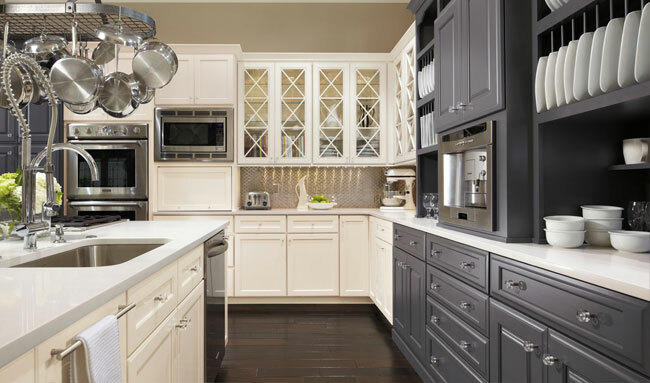 These are huge factors that affect a kitchen design and ultimately what the layout of the cabinets are going to be thus having an influence on the price. When it comes to door styles there are hundreds to choose from all ranging in different price groups. Simpler door styles are going to be much less than a door style with much more detail. This consequently can affect the price tremendously. If we quote a kitchen based on a Shaker Door but the client in actually was hoping for a more traditional door with a raised panel then the price is going to be much different. The same idea for cabinet finishes. Painted products are going to be more expensive than a stained product because it has more steps making it a longer process. Similarly, very dark stains have an upcharge because the manufacturer has to stain the wood a few times to achieve the right darkness. Again, more steps means higher cost. This consideration becomes vastly important when quoting contemporary designs where the client would like to have a specialty wood. 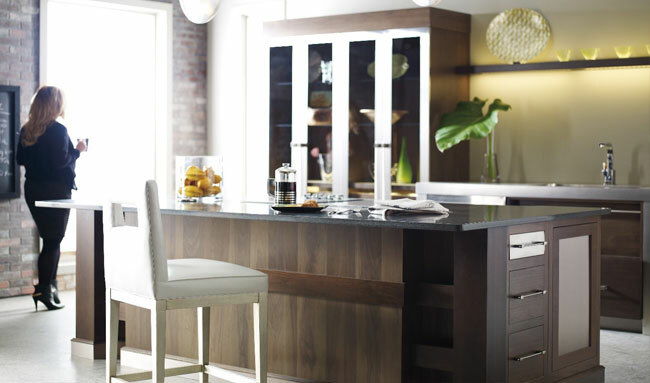 These specialty woods consist of Wenge, Bamboo, Walnut, textured laminates, and high gloss finishes. 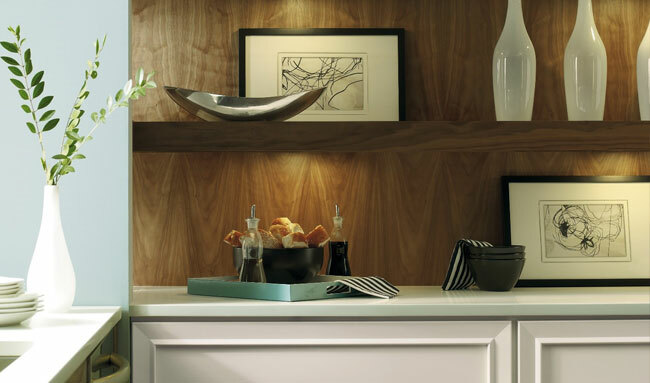 These wood species can range anywhere from a 25% upcharge to 50% upcharge, which again, can affect the price of the cabinetry drastically. Lastly, all the extras for customizing your kitchen to make it perfect for you and your family are going to affect the cabinet price. Have to have a built in coffee maker in a tall cabinet? Need adjustable roll out trays for your extra tall stock pot? Want glass detail to show off grandma’s classic China? 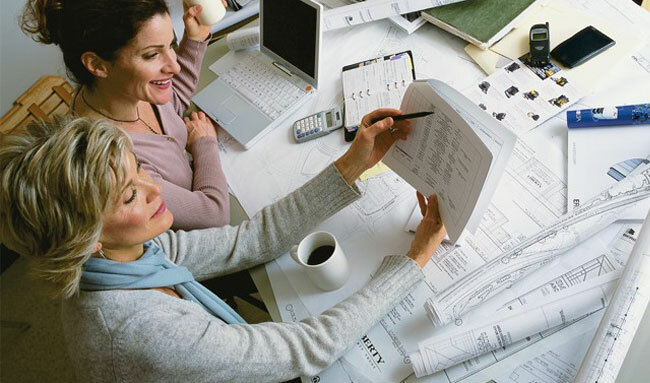 These are all things that affect the design in order to make it perfect for YOU. These particular details, no matter how big or how small, still affect the overall price of the kitchen.